IN5 , RJ45-I2S input ,up to 32bit / 192KHz support . IN6 , HDMI-I2S input ,up to 32bit / 192KHz support . We are design the HE-7 only put the point on high sound quality reproduce , we have not design the mute design in it as our low end products, because we have consider any mute design cause the sound quality degrade . If the SPDIF sources ( only with some few disc player models) have design the SPDIF output signal switch on while playback and switch off while stop, the switch noise will reproduce by the HE-7, the issue is had a click sound while the source switch . Fortunately most sources had not switch the SPDIF output signal and always had output signal while power on . The HE-7 had the no compromise design, it may can't compatible with all TV, game box, low range disc player, ect. 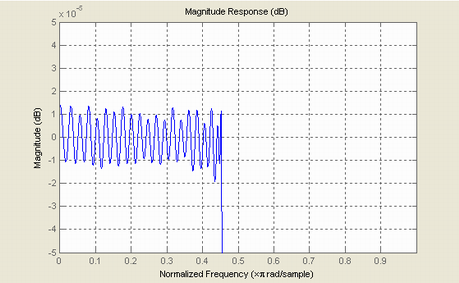 1, Through analyzed the AP SYS-2722 ,do a lot practises ,test and listen , full analog design of the regular wave generator have much lower distortion than the digital generator. The HE-7 is a real fully balanced discrete design. Applies the 8 Pieces Expensive high-end grade PCM1704UK which can support up to 24Bit/192KHz through SPDIF input and 32 Bit / 192KHz through I2S input . Similar to other PCM1704UK designs , we applied Non-feedback ACSS analog stages. The 8 pcs PCM1704UK feed to the ACSS analog stages without any OPAs and couple caps so it can avoid sound coloration . The ACSS is a non-feedback technology made with fully discrete amplifiers. Most people know the global feedback design can offer better specs in test measurements, and classic non-feedback can't do well in test measurements but can offer better sound for the human's ears. Here is a conflict of the classic circuits. But the ACSS opens a new field, it can offer a least coloration sound which is more neutral with very low distortion and high linearity. So it can retain the dynamics, detail and neutral sound but not sound bright or harsh. The output buffers are Non-feedback. For low impedance, we applied the dual FET buffer output stage which is quite less colored than most conventional circuits. HE-7 has built in DSP processor, which is a Two-channel Digital Interpolation Filter and data in-phase processor for digital audio. 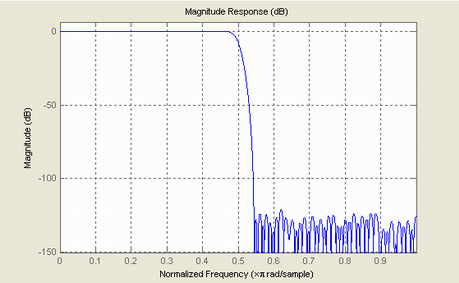 This Device offers advanced features for high-performance digital signal processing (DSP) applications up to 250-MHz. Data and Master-clock in-phase processing are without jitters. So HE-7 can offer a clear and focused soundstage, apart from accurate and neutral reproduction of the recorded disc/music. The Stopband Attenuation up to -130DB, enough clean the digital noise , avoid the digital noise degrade on the back stage and make the sound like digital. HE-7 applies the excellent 8 pcs PCM1704UK and excellent analog output stages, but these are not the only keys of the best sound. The power supply is most important. Even applying the best DA chip and the best amp, if matched to a normal power supply, the total sound may still be average or sound musical, but can't be neutral and detailed. That is why it is easy to find hi-end grade gears maybe without the best chips or amp stages, but with plenteous dedicated DC supply circuits. The HE-7 had total 21 PSU groups are applied. Uses 19 groups of high-quality class A parallel connection PSU with dedicated DC supply double-stage PSU, which can offer very clear DC power for the DAC, producing a very black background and neutral sound characteristic. The double-stage PSU is very important for digital parts. Some designs may have very low jitter in theory, but if the power is supplied by a dirty or low-speed power supply, it will increase the jitter and pollute the data, and degrade the sound quality obviously. The class A parallel connection PSU has very high input impedance to avoid pulse through the PSU from affecting the DAC and low output impedance with very fast speed and high linearity, so it is a very clean power supply. In my experience, its sound is better than battery power supply, better human sound and neutral. HE-7 has complete separation of digital process, analog left, right amplifier channels, regenerative drivers and transformer, even the 230V / 120V power input lines had shield in the copper conduit. HE-7 uses heavyweight all-aluminum chassis to prevent the eddy current of transformers from interfering on circuit board. Uses all audiophile grade components, including DALE resistors, WIMA caps, custom order NOVER (UK brand) caps, all audiophile grade input & output sockets (Neutrik ) and gold IEC socket. HE-7 all parts of four channels had exact match before install.